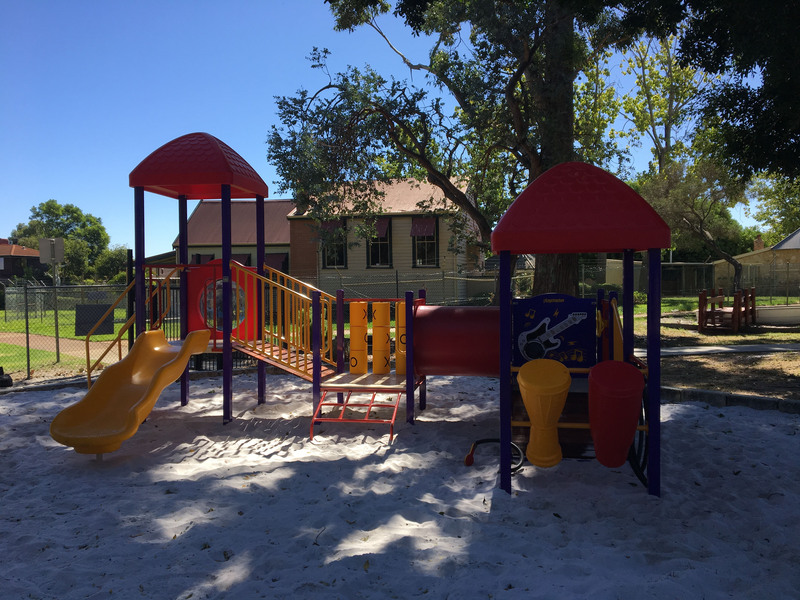 Design and install a junior playground and 3 other separate units in an existing shaded pit with a sand soft fall clean and top up. We added a deep violet to the primary colours of red and yellow to add vibrancy to the area and complement the existing lemon shade posts. 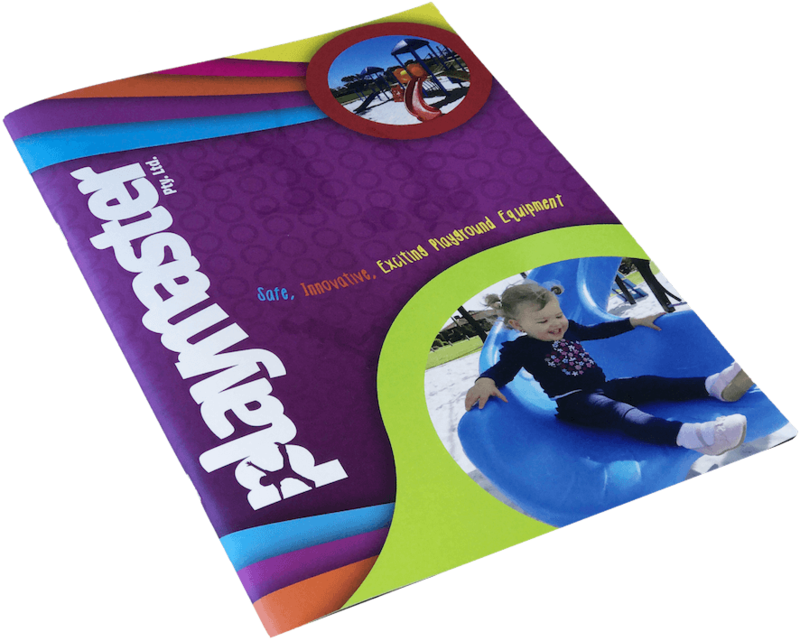 Ramps, safety stairs and a low cargo climber offer a range of climbing choices to access the 3 platforms and a slide. The cubby roofed structure also contains several interactive panels to encourage social interaction, music and fun,(including a play-able electric guitar!). We also installed two rockers so young children could experience the thrill of forced movement on their own or with a friend. 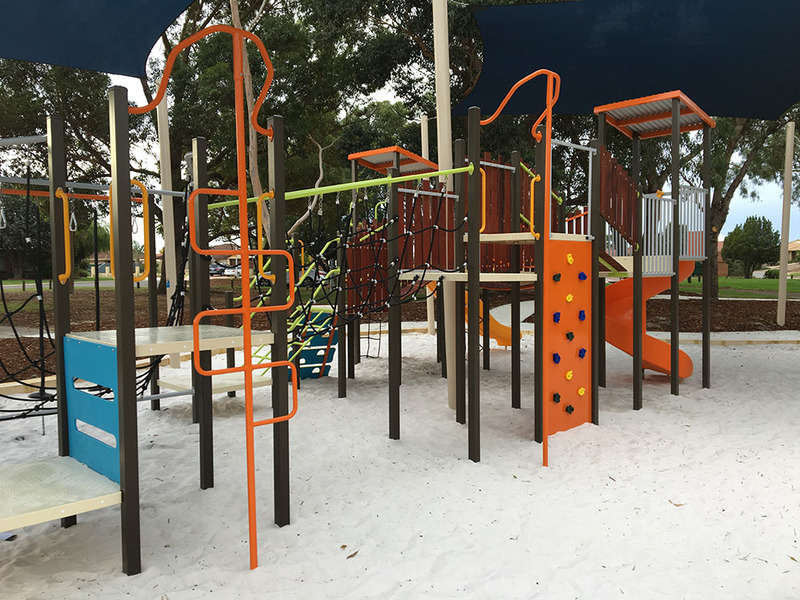 The ever popular double swings and sand digger offering alternative options for social and physical skill development.